This is my review of the Conrad New York hotel. 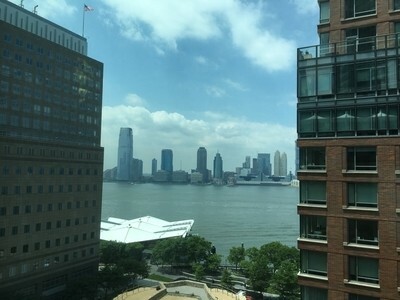 Over in New York this week, I was back at Hilton’s Conrad New York. Recent changes in the area around the hotel have made this an even better place to stay, as I will explain. 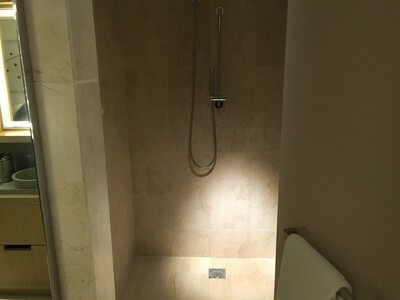 If you have a stack of points with Hilton Honors and IHG Rewards Club – which are the two dominant schemes for Head for Points readers – and are looking for a luxury New York hotel redemption, you will probably end up choosing between InterContinental Times Square (my review), InterContinental Barclay (my review) and Conrad New York. Last year I tried the reopened Barclay and was a little underwhelmed. I am also underwhelmed by InterContinental Times Square. Even the Conrad isn’t perfect. Basically, these are all bed factories. You will look in vain for swimming pools, huge amounts of public space, multiple restaurants (The Barclay hasn’t even got a proper restaurant!) etc. They are very pleasant bed factories, don’t get me wrong. But they are bed factories. …. and a good size desk (from where I am typing this) and a Nespresso machine. Conrad New York used to be an Embassy Suites, Hilton’s midscale family brand. The building is owned by Goldman Sachs and is connected to their HQ building. Amusingly, Goldman Sachs found that its clients and staff refused to stay at the Embassy Suites so it was converted into a Conrad. The ‘all suites’ nature of the hotel was forced on it because of the previous Embassy Suites layout, where all rooms include a kitchenette and sitting area. 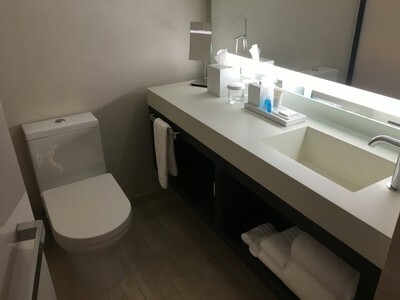 Even now, the Conrad rooms include a sink in the living area which is a little odd. 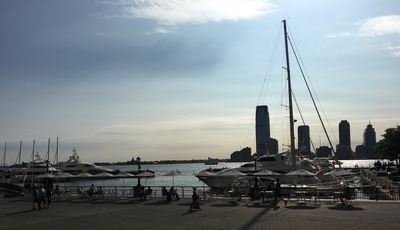 The hotel is in Battery Park, a very short walk from World Trade Centre. If you haven’t been in the area for a couple of years, there have been massive positive changes. The shopping mall – Brookfield Place – opposite the Conrad has been totally rebuilt and is now a luxury mall with a decent food court. There is also, at present, a little outside bar at Brookfield Place overlooking the yachts in the harbour. It is pleasantly quiet, as you’d expect at $10 for a can of beer including compulsory tip. 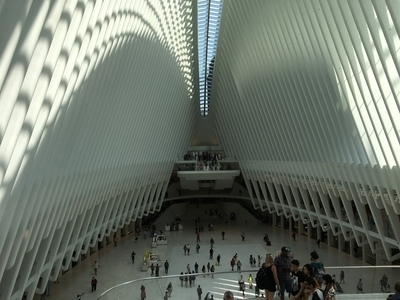 You can access the subway at Fulton Centre via Oculus. There is no need now to cross the huge road which separates Battery Park from the WTC site. … as well as a little used restaurant. The building contains a cinema (!) and, in the same block – although not accessible from inside the hotel – numerous other bars and restaurants, including a Shake Shack. It is worth mentioning breakfast. 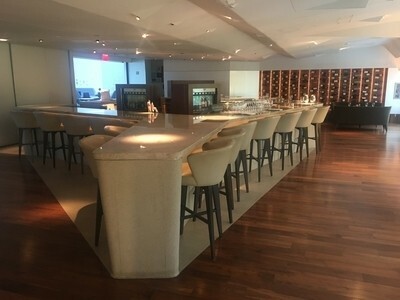 Hilton Honors Gold and Diamond members can get a $20 credit towards the a la carte menu (there is no buffet) or pick one free item from a short list. 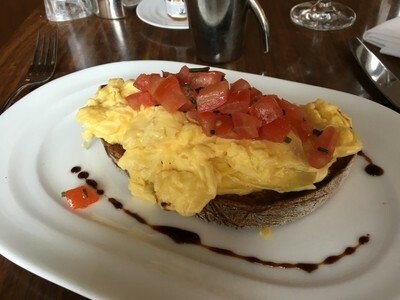 I had this scrambled eggs bruschetta twice and it was a pleasant change to yet another buffet. Filter coffee is included. It is a civilised way to start the day. If you want a newspaper, you can pick up a free New York Times or Wall Street Journal in the restaurant or at the concierge desk. To be honest, if you are blowing your bonus and are coming in Summer, my preferred New York choice is still Soho House with its superb rooftop pool and vibrant events list. 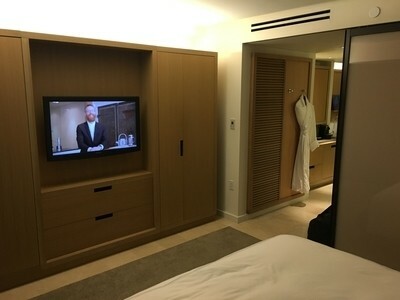 If you are using points and want a luxury experience, Conrad New York is still my preferred pick. You need to be happy with the Battery Park location but that is not a major issue for me. The ‘4’ or ‘5’ express subway lines get you to Grand Central in 3 stops and Central Park in 4 stops anyway. 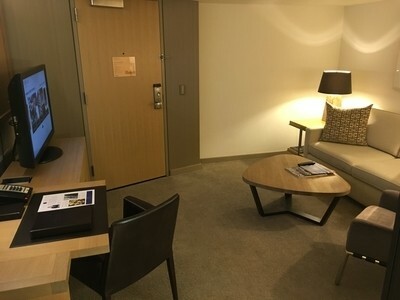 In terms of cost …… I booked Conrad New York before the Hilton Honors changes took place earlier this year. It cost me 70,000 points per night. It now seems to be 80,000 points per night – you rarely see it lower even with the new Hilton Honors policy of reducing reward prices on cheap nights. This is because a ‘cheap’ night at the Conrad still isn’t really cheap – you are looking at over $600 including taxes midweek. Of course, you can argue that New York is about going out and you won’t be in your hotel much. In that case, feel free to stay elsewhere. If you’re looking for a good luxury option to use your Hilton Honors points, I recommend the Conrad New York. Good review. I just wanted to comment that there still is a buffet at this hotel (free for Gold and Diamond) on Saturdays and Sundays. In May I got the buffet on Sunday and the $20 credit on Monday.